This above video was made just recently. You may read this post to understand more. Note: Please turn on CC for English subtitles. Hidden rows cannot be unhidden? Why? Although today is April Fools’ Day and the question sounds like an April Fool’s question, this post is not about to fool anyone. Just another real case to share. In the screenshot below, rows 2:15 are hidden. It is so obvious. Isn’t it? Then I tried the normal ways to unhide the rows, but failed. The worksheet is not password-protected. Also I tried to press Down Arrow in A1 and observed the change in Name Box. It changed from “A1” to “A16”, which means rows 2:15 are hidden. But why couldn’t I unhide them? Strange enough, rows 18:19 are back but not rows 2:15. That was one of the weird things I encountered in using Excel. It is the row height! All the hidden rows are back now! This interesting behavior made me do a little test on different row heights. For row height from 0.08 to 0.67, row looks like hidden (We cannot move to “hidden row” by arrow key) but are not actually. We cannot “unhide” the row as normal. We need to change the row height to have them back. For row height >=0.68, we will see a “noticeable” row, so that we know the row is not hidden. How do I know these? Just by experiment. Learning is a series of curiosity, observation, and trials & errors. If the above doesn’t help you to unhide rows, there may be a chance that the hidden rows was a result from advanced filter. You may read this post for more details. This entry was posted in Excel Basic, Excel Tips and tagged Hide, Unhide. Bookmark the permalink. 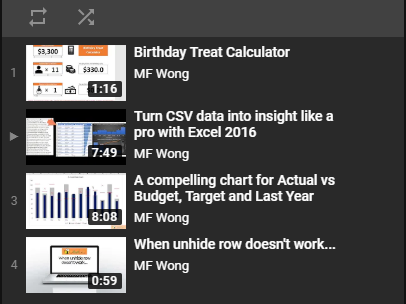 I work in data and consider myself an Excel expert. I was in a total panic today when this happened to me and I couldn’t figure it out. It’s always the simple things >.< Thank you for saving me! I still cannot unhide the hidden Rows. Do you have filter on? Glad to know my article helps! select rows either side of hidden rows, hover cursor over row numbers till get double line style, double click and all hidden rows appear. I don’t know how many years have passed but I got old trying to figure this one out! This worked, the other didn’t. Thank you. YOU SAVED ME!! Thank you soooo much Old Cowboy, I tried so many other methods & nothing worked including the main article here. Weirdly enough, I had to double click the same spot with the double lines at least like 20 times fast before it popped the hidden rows back up. Hi Shikha, do you have Macro in your file? Does not work, and my sheet is not protected. Do you have filters on? That was my question also. I just went crazy trying to unhide some rows and realized my filter was on. Thank you. It was so useful! Nice article and you save my day! Though this article is written back in year 2011, it is very useful whenever Excel user like me scratching head when something is not working as expected. Row height…thanks for your sharing!! You are welcome . Glad you like it. The row height wasn’t the issue for us, but clearing filters did bring back the hidden rows. I too encountered the problem to unhide the row. How it went unhide not known. But after reading the above, I tried but in vain. Ultimately the height point clicked me trying different varieties. 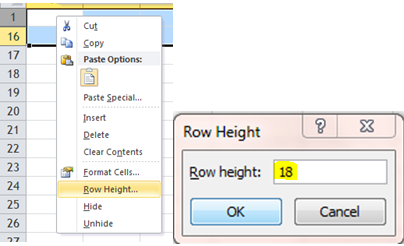 I have checked the normal row height and then the hidden row height and clicked on height. Even then no result. Then I tried to drag the bottom line of hidden row and I am through/successful. Sometimes unknowingly many things go the otherway. But after reading the queries we get solved as per directions or we get some other innovative idea. Good we learn something by digging our hidden talent/ideas. Thanks I was really worried but this fixed it! Thank you! Your advice fixed my problem! In my case i forgot i had filters on. Dumb moment. In my case, a filter was on AND hidden. I GUESS I understand, but if I hadn’t read this comment, I would still be scratching my head. Thank you! I’ve been struggling for ever!!! That is what my problem was too. Thanks for mentioning filters. Cool learning about the row height trick, but I will just stand here, with the forgotten-filter people. Ahh, row height, of course! I hade a very strange behaviour: could not create new rows, could not set filter. Tried all kinds od unhide. For some reason the last rows + second row hade no height! Thanks! Sound strange. Is your worksheet protected? Yes. That is a common case that confirms user many time . Thanks for sharing! I am also really really grateful! 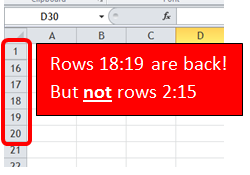 In my case, highlighting the whole spreadsheet and setting the row height didn’t make the hidden rows reappear, although I could do them one at a time by going to the first cell in a hidden row and setting the row height for just that row. 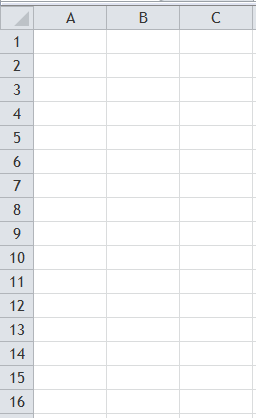 Unfortunately I had hidden a lot of rows and the thought of having to do each one individually was unpleasant, but I came up with another solution: I saved the file in csv format, and closed it, then reopened. All of the hidden rows had reappeared. On another note, I want to congratulate you on the clarity of your instructions and great use of screen captures. I used to do a lot of that and it is not trivial. Thank you Kim for your kind words. thank you so much. I had the same problem and it worked when I followed your suggestion. Thank you so much for this! Row Height was the problem (although I certainly never changed that – just hid the rows). You are welcome! Glad it helps. THANK YOU! None of the other suggestions were working for me! Setting Row Height by page, or by row was not unhiding anything. I was getting very frustrated – your laziness has saved my sanity! What a simple little trick. Thanks again! This was driving me nuts; I don’t know what’s causing it! But when the other solutions didn’t work, this one did. I’m grateful! Once I read “It’s the row height” I exclaimed “OMG column A is there”. I went back to my Excel sheet and there was Column A, not missing but just too small to be seen. Thank you!!! Adjusting the height did not help my worksheet, however, I followed Microsoft Excel suggestion: “…Remove the filter by selecting a cell within the filtered range (in my case – the whole sheet), and on the Home tab, in the Editing group, click Sort & Filter, and then click Clear…” That helped me find my data. You are right. Filter could be a case for that. Thanks for sharing. HOLY CATS! Thank you both!!! Mine was a filter issue and I thought I was going to have to BREAK the computer! Going to have to keep this little nugget on file because it happens all the time with this particular person, sharing files. Don’t know why I haven’t retained the info yet though! We shall see. Thanks again! OMG! THANK YOU!!!! I was seriously going crazy and thought I would have to manually unhide 200 rows. You are a lifesaver!! Yes – this one fixed it for me. Home / Editing / Sort & Filter / Clear. Thank you, Gerry! This worked, finally, for me! Not sure what made the rows do that, but I’m glad they’re back in view! I JUST had this exact problem. Excel 2007. I tried all of the above to no avail. It was the “filter” put on it. Once I took the filters off, BAM, my hidden rows reappeared. Fastest way to unhide those hidden panes? Select the entire page, click on print area and then click set print area and voila! All hidden columns and rows appear. 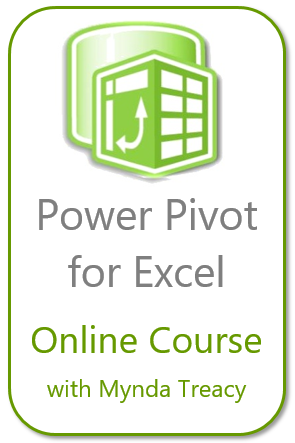 Tested for Excel 2007, 2010 or Excel 2013. 1. If you use Excel 2007, please click Office Button on the top left corner, and then click Prepare > Inspect Document. If you use Excel 2010/2013, please click File > Info > Check for Issues > Inspect Document. 2. Then a Document Inspector dialog box will appear, click Inspect button. 3. The “hidden rows or columns” in the whole workbook have been inspected and if there are any, there is a “REMOVE ALL” button next to them. 4. Click Remove All, then click Close button. And all of the hidden rows and columns in the workbook will be removed. A. If there are formulas to manipulate the data in your workbook and the formulas call for data from hidden rows and columns, then deleting that information will cause incorrect result. B. With this function, you can delete all of the hidden rows and columns in the whole workbook. To my surprise that nothing mentioned works for you. Nevertheless, thanks for sharing another approach to unhide all hidden rows and columns through Inspect Document. I did test that. It worked for hidden rows or rows with height less than 0.08. However for rows heights between 0.08 and 0.67, as I described in my findings, the Inspect Document method failed to “unhide” the rows. I am using Excel 2010 btw. Was using 2010 also, but didn’t test for row heights. Just my hidden ones which were impossible to “unhide”, delete or increase height. Oh well, the more methods the better. 2) There is macro preventing you from adjusting row height. Unfreezing panes is what finally worked for me. Just wanted throw yet another possible resolution out there for those who encounter this issue. Thanks, unfreezing the panes also worked for me. After trying several methods for about 30 minutes. Thank you. You are welcome! Glad to help! Thank you! I’ve been trying to “unhide” a column for months and thought it was a lost cause, but I tried autofitting column width just now and the missing column appeared! You are welcome, Mira. Glad it helps. Thank you. This helped me unhide columns by checking the column width. OMG! Thank you! Such a simple fix. Ended up being exactly my problem. Way to think outside the box in your problem solving. It never occurred to me to check the row height. Good point! However this trick did not work for me, but I figured out my problem. I had a filter on one of the columns so the program automatically hid the other rows. I was in the program and turned on a filter, then saved and closed until the next day…I had forgotten the filter was still on. You are welcome! Glad it helps ! Pingback: Can a row be very hidden? Precisely what I was looking for! In my case, the top 150 rows had vanished! I assume they are back now! Thank you! I’ve had exactly this problem (well, columns in my case) and your trick worked. I don’t know why, but it did. 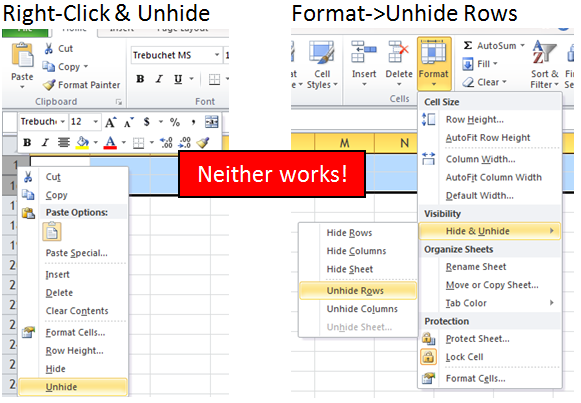 Mark the row over and under the hidden rows, right click “unhide”. You are right for a normal circumstance of hidden rows. However that does work in my example… And that’s why I wanna share that strange experience here to anyone with the same experience. This did not work for me! Any other ideas? I am having the exact same problem- I created a spreadsheet with a row for each day of the year. I filtered out all dates except January dates to focus on those. When I go back to bring in February so I can work on that, it doesn’t show up in the filter, and I can’t unhide those rows in any of the above ways. I am trying to avoid individually pulling out each date (I have this problem on several other spreadsheets, as well.) No one around here has been able to figure it out, including my IT guys. 1) Is the pane being frozen? 2) Do you mean the filtered rows were deleted so that they won’t go back on the filter? If so, have you checked is your file with VBA? If you can post your question on a forum, MrExcel.com (http://www.mrexcel.com/forum/forum.php) is always my favorite forum, with the descriptions and screenshots, you may have a high chance to solve your problem. Perfect! The pane was frozen. Thanks!